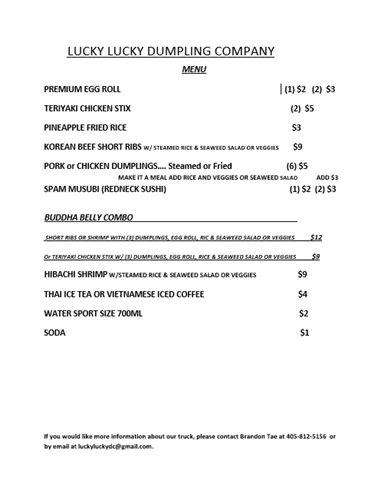 Lucky Lucky Dumpling is back with their amazing cuisine... and they do both breakfast and lunch!! Join us for one or the other... or BOTH! !